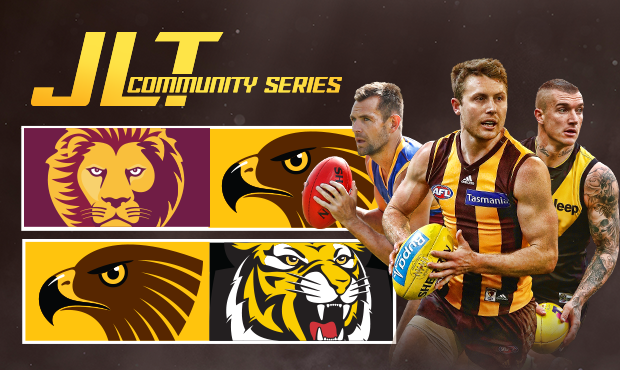 Hawthorn will head to Launceston to take on the Tigers in week two of the JLT Community Series. After a lengthy off-season, there is now less than a month left before you can see the Hawks back in action. The JLT Community Series will play out over two weeks in March, with games taking place at community venues around the country. Hawthorn’s pre-season campaign will kick off against the Lions on Sunday March 3rd. The team will fly to Brisbane, before travelling north to play at the Moreton Bay Central Sports Complex in Burpengary. The squad will then head south the following week to the club’s second home of Launceston to take on the Tigers at UTAS Stadium. The match will take place at 7.10pm on Saturday March 9th. Times listed above are local to the venue. Hawthorn members will be granted free entry to both clashes (subject to capacity).